November is truly beautiful to behold. Vibrant fall foliage paints the trees, but seeing friends and family during the holidays is an even more welcome sight. Taking in the eager, smiling faces set around a magnificent Thanksgiving dinner creates memories that last a lifetime. Vision is something we all take for granted. As the turkey is carved and thanks are shared, it’s also a good time to think about a disease that affects more than 30 million Americans and unbeknownst to many, can lead to blindness. National Diabetes Awareness Month, a countrywide initiative to bring attention to the prevention and impact of the prevalent, dangerous affliction, begins November 1, 2018. Education is crucial to understanding and fighting the illness. Insulin is a hormone that regulates the levels of glucose, an essential energy source, in the bloodstream. Type 2 diabetes often develops gradually, when the body produces too little insulin or is resistant to its effects. Type 1 means the pancreas doesn’t create any insulin at all, usually hitting harder and earlier in life. However, both result in critically high blood sugar, which can have disastrous consequences on vital organs, including the eyes. This impairment, known as diabetic retinopathy, can manifest in several ways, each limiting a person’s ability to see. One involves the leaking of blood products into the eye, causing swelling known as macular edema. Other times, blood is unable to flow through the vessels, like faulty pipes, leading to ischemia, and ultimately dying tissue. Sometimes, to compensate for insufficiencies, new blood vessels can grow in places they shouldn’t, disrupting the natural anatomy of the eye. Secondary complications are a possibility too. 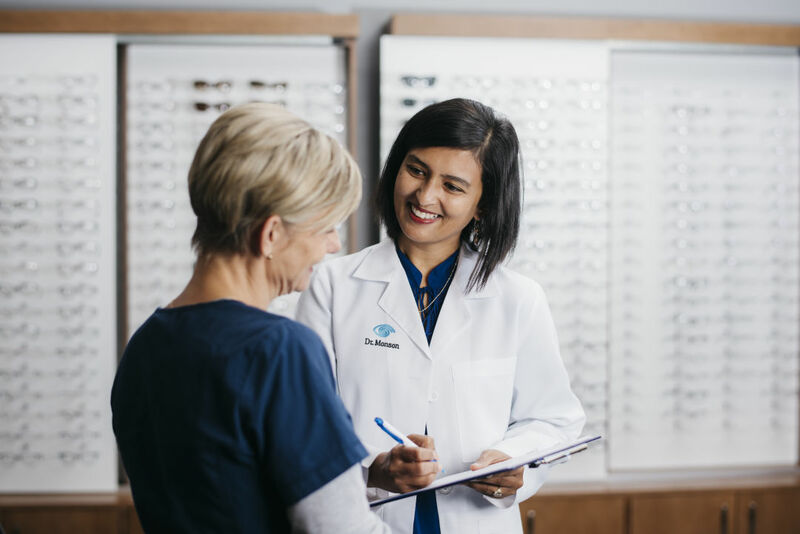 “Cataracts tend to develop at an earlier age in diabetics, and they have nearly double the risk of glaucoma,” explains Monson. 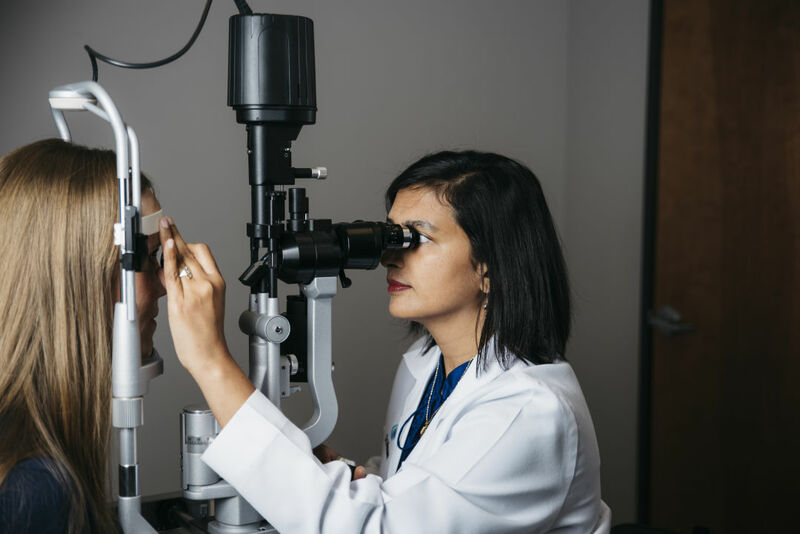 For mid to late stage patients, there are medications that can be injected into the eyes, and surgical measures can be utilized for advanced symptoms. Laser photocoagulation is a minimally invasive procedure that seals leaking blood vessels or retinal tears, and can destroy abnormal tissues. To repair extensive internal damage, a vitrectomy, where some of the vitreous humor is removed from the eye, is also an option. “I want to emphasize that there’s always an opportunity to improve our health, for all of us,” says Monson. 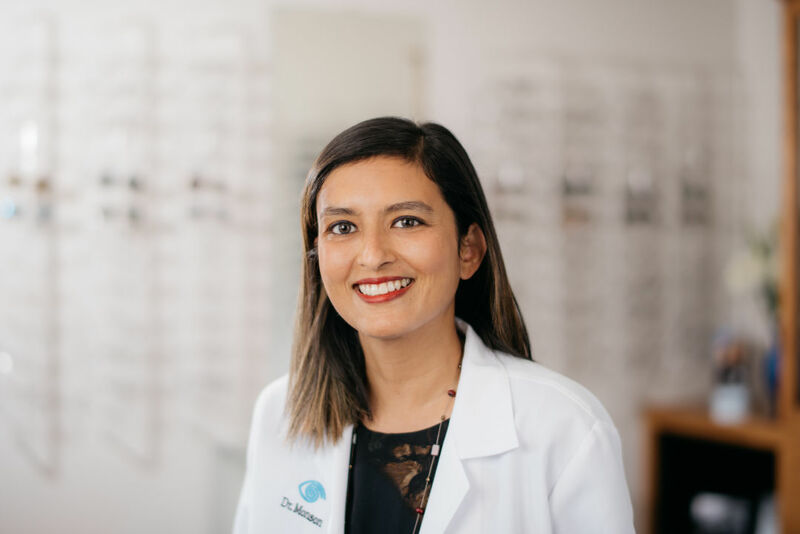 “That being said, although it sounds very scary to many people to not have good vision, there are so many people who have no sight that have very happy, productive lives.” From low vision specialists, rehabilitation services to guide dogs, there are many resources available. The Oregon Commission for the Blind offers low vision devices, free consultations and can also assist with transitioning at school or work. The State Library of Oregon has a selection of Braille and large print books and the American Academy of Ophthalmology will advocate for patients. Though there still is no cure for diabetes, medical innovations have made living with the disease possible. 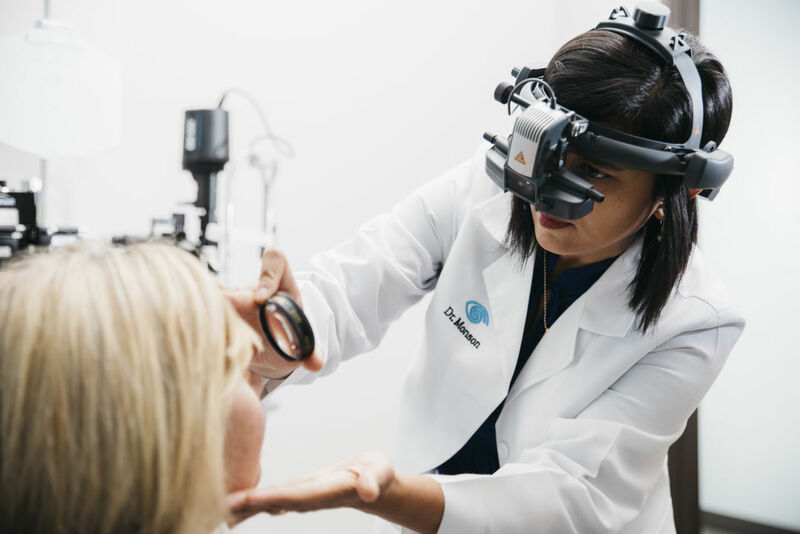 For those who are recently diagnosed, especially with type 2, Dr. Monson suggests getting your eyes checked immediately – it’s possible you’ve had it for a while and not known – and annually from then on. It’s a simple step to take to help ensure you’ll be able to appreciate those friendly faces for years to come.